This Schrade pry bar is lightweight and compact. It's made of SK5 high carbon steel for durability and has a black powder coat to help protect it. 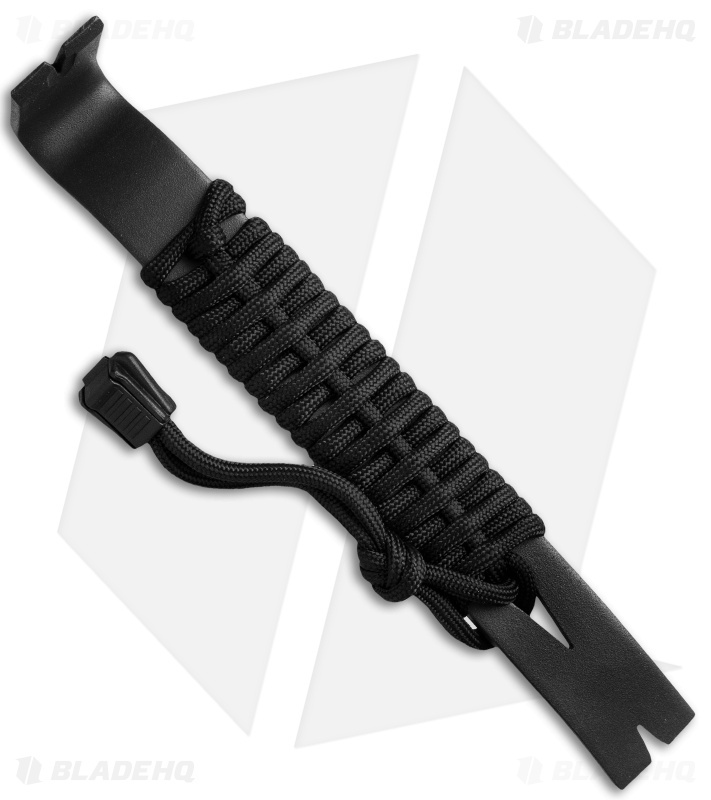 The handle is wrapped in black 550 paracord for improved grip and an added resource during an emergency. Whether you're prying out old drywall nails, lifting and cribbing materials, opening a stuck window, or removing a hubcap, a pry bar is a useful, time-saving tool to have around.